Set in a tranquil bushveld setting ideal for relaxing, Cradle Cove offers a bushveld environment where guests can take in the South African experience. Cradle Cove offers highly recommended AA graded self-catering accommodation, with a conference and events venue. Cradle Cove has a typical African feel, both indoors and out. This establishment holds appeal for both our local tourist and international tourists. Nestled in the Cradle of Humankind World Heritage site, Cradle Cove is the place to be to relax and soak up the South African sunshine. We are just 5 minutes from Lanseria International Airport, where flights are offered to many local, international and bush destinations. Close to many tourist attractions Cradle Cove is perfectly situated for leisure or business travelers. 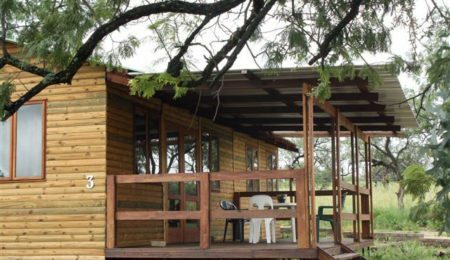 Accommodation for up to 10 students is provided on a nine hectare farm. 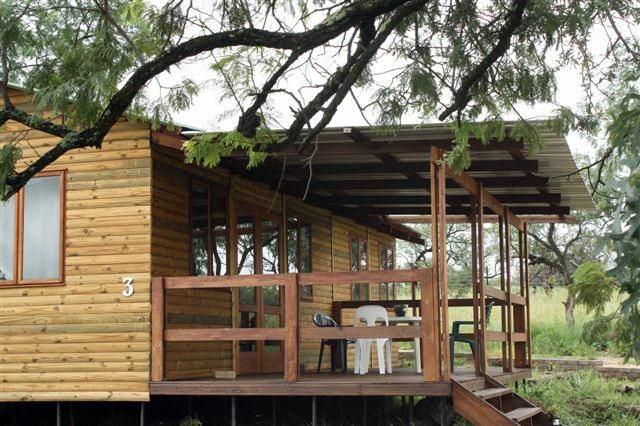 Four aesthetically pleasing log cabins with stunning views of unspoiled bush and rolling hills can accommodate 6 guests each. 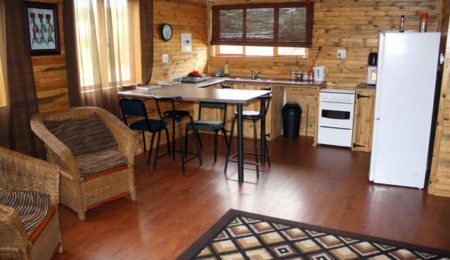 Cradle Cove offers self-catering cottages (some brick and others log cabins) in total we can accommodate up to 10 students. 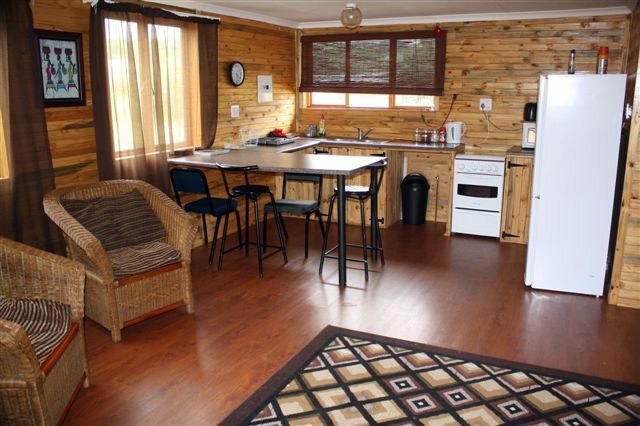 Each cottage is fully equipped with bed linen, towels, kitchen utensils etc. Other accommodation includes lovely brick cottages that accommodate 8 & 6 guests respectively. Depending on the season Cradle Cove offers meals on request at additional cost. The outside deck offers a magnificent setting to enjoy the delicious food prepared for our guests. Honeymoon Cabin has its own spa bath as well as fire place and private deck. We have 2 conference rooms. 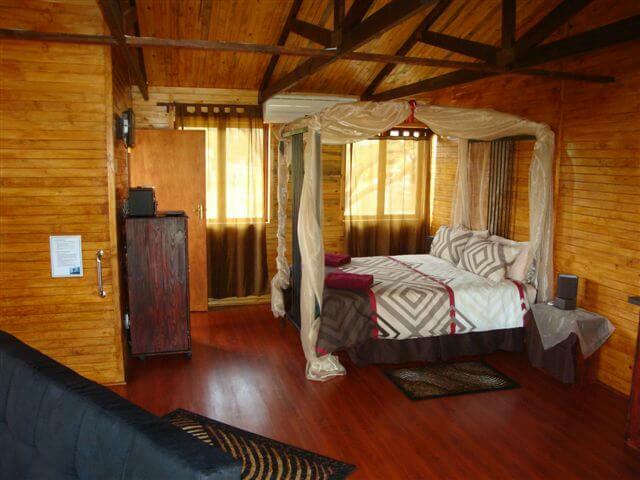 Both are log cabins with lovely wooden ceilings and natural finishing’s. They can both accommodate up to 40 delegates. These fully air conditioned facilities can also be utilized for other events and have a fully equipped ablution as well as braai (barbeque) facilities. Data projectors and other conference equipment are offered by prior arrangement. Apart from just relaxing on the farm and watching the wild buck and birds, the area is packed with things to do. 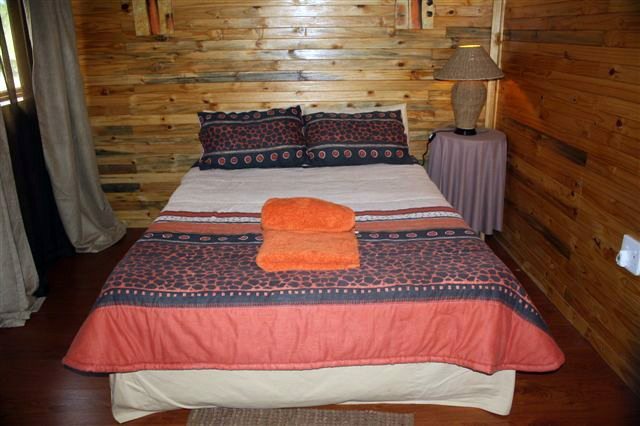 Cradle cove is perfectly situated in the Cradle of Human Kind and near to the Hartebeespoort Dam. Other attractions in the area include the Rhino and Lion Park, Lion Park, Maropeng, many private game reserves and the Lesedi Cultural village. Sun City is within 1½ hours drive. Other places to see in the area are Monte Casino and Sandton City. Just 20 min drive from both Fourways and the Northgate Dome, Cradle cove offers the best of both worlds.